Audiobooks are an excellent alternative to traditional books since you can listen to them while on the go. Apple iPhone provides an awesome audiobook listening experience with the help of relevant apps. The main advantage of audiobooks is that you can read the books anywhere irrespective of the location or light. If you don’t want to subscribe to any paid service, you will have to download free audiobooks on iPhone in advance from various sources on the web. 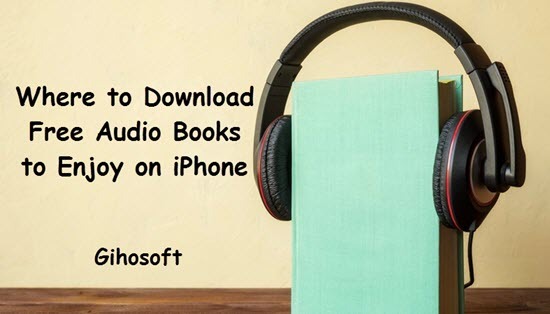 In this article, we will explain how to get free audiobooks on iPhone. 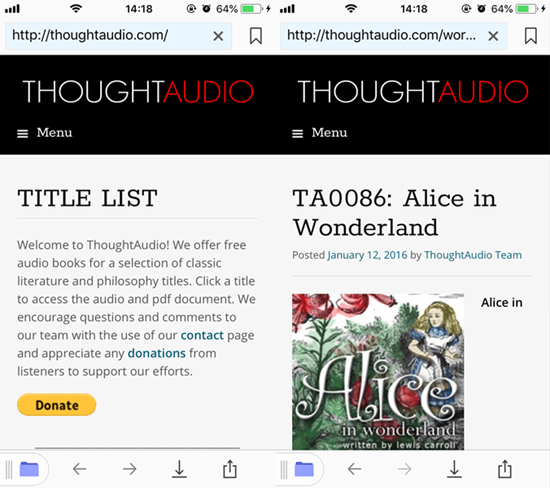 To read free audiobooks on iPhone, you should download the free audiobooks to computer from various sources and transfer them to your iOS device. You can also directly navigate to the relevant website where audiobooks are stored from within your iPhone and download them with some apps like Documents by Readdle. Tips: If you lost any important data like message, photo, or contact from iPhone, you can always use Gihosoft iPhone Data Recovery to retrieve your data back from iOS device. Part 2: How to Download Free Audiobooks on iPhone without PC? 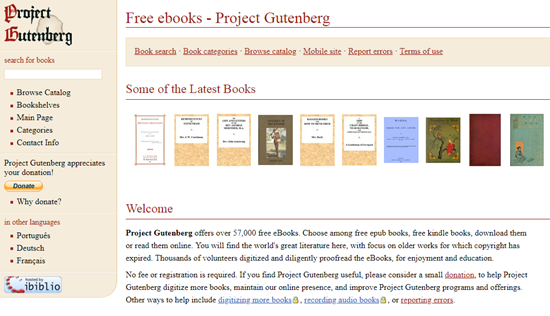 Project Gutenberg provides a wide range of audio books on the Internet absolutely free of cost. The site consists of more than 60,000 free ebooks, which you can download instantly. 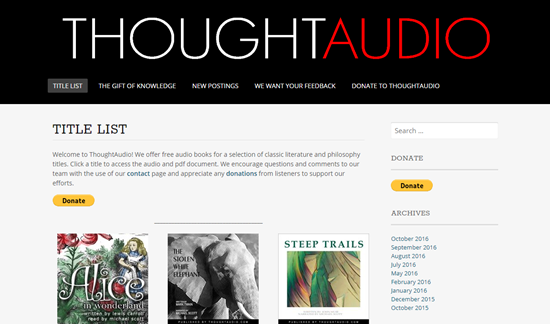 The Audio Books project is part of the collaboration with fellow pioneers such as LibriVox and AudioBooksForFree. With Project Gutenberg, you will be able to search book lists by title, language and last name of the author. You have a choice to read free epub books, kindle books and can be able to either download or read them online. The portal offers old copyright-free materials and hence you can read great literature books. The site employs thousands of digital volunteers who proofread the ebooks before uploading. It’s a great website where you can get free audio books along with other ebooks to enjoy on your iPhone. Thought Audio helps you to stream books online and the service works similar to Podcast or Spotify. It offers free audio books along with the reading scripts for offline listening on your device like iPhone. The home page helps you to download books by scrolling down. You can also navigate by monthly archives or can perform a search with the appropriate keywords. If you select a title, you will view the description and access to the free audiobook. You just need to select the Play button and the content will stream to your iPhone. You can download the MP3 file by clicking on the file name. It is also possible to view the transcript by downloading the PDF file. Lit2Go is a minimalistic website for accessing free audiobooks on iPhone. The site is operated by Florida’s Educational Technology Clearinghouse. 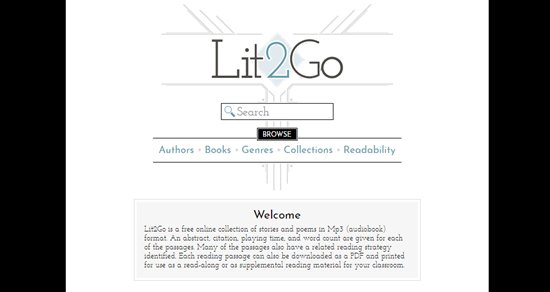 Lit2Go contains a wide range of downloadable poems and stories. It is possible to search by genres, collections, authors, title including books published for Grades K to 12 students. There are New and Featured titles on the homepage. If you select Books link, you will view plenty of books arranged as per the alphabetical order. If you select an alphabet from the top navigation, the books starting with that particular alphabets will be displayed. The title page displays the contents followed by various parameters such as published year, readability, word count and much more. The audio playback link will be displayed towards the bottom of the title page with the content in text and PDF formats. You just need to tap on the play button from your iPhone. The problem with the site is that you need to dig three or four links on successive pages to locate the play button. Scribl helps you to access old books from Podiobooks. It offers old and excellent audiobooks available on the web for offline using like on iPhone. The portal also distributes serialized audiobooks through RSS. Moreover, the books are also available as one-click downloadable audiobooks with high quality. The Scribl also provides free audiobook without any ads. If you navigate to the homepage, you will view two buttons such as “I want to listen” and “I want to publish”. The information pertaining to titles of the free audiobooks can be viewed by selecting the I want to listen button. The disadvantage of this site is that you need to register as a user to download books. Open Culture enables you to download books related to educational and cultural media. The portal offers an extensive collection of audiobooks including the ability to compile content from across the web, which you can freely enjoy on your iOS device like iPhone or iPad. The homepage provides a list of all the available books and you can download the MP3 file instantly by selecting the link. The problem with the site is that you need to scroll down deeply to locate a book. Moreover, you can also search for content by clicking on the icon from the top navigation bar. The audiobooks are divided into several categories such as Fiction & Literature, Poetry and much more. The Essential section located on the homepage provides rapid access to a wide range of content. However, you have to navigate deeply to locate content. The portal is a valuable resource for students since the material will help them in the research work. Now you know there are several great free resources to get audiobooks for offline enjoying. You might wonder is there a way to download audiobooks directly from these websites on iPhone instead of using computer? Luckily there is. 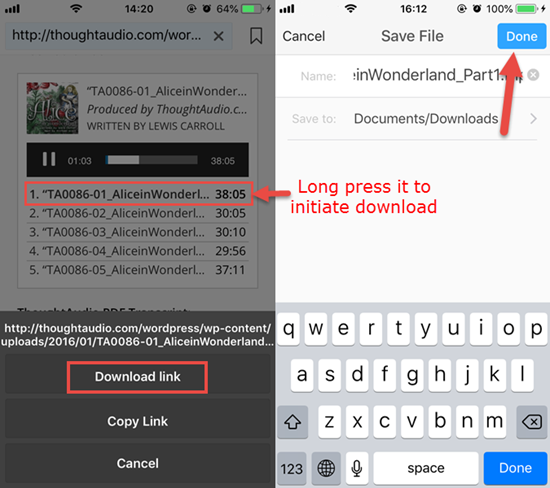 Though you can directly download the audiobook mp3 files from Safari, you can use other apps like Documents or FileMaster to download them to iPhone. Install Documents app from App Store freely on iPhone or iPad. Open the built-in browser inside the app, then enter one of these website above, such as Though Audio. Then click into the audiobook you want, scroll down to the list of its mp3 files. Long press on the file name (one by one if there are more), then tap on “Download Link”, and click on “Done” in the pop-up-page (you can rename the file here). Then the audiobook will be started downloading to your iPhone. The apps like Documents and FileMaster can play the downloaded audiobook files for you. But if you need a good audiobook player for iPhone, you can head to the Best Audiobook Apps for iOS, which even offer tons of audiobooks with various genres for both online and offline using. Audiobooks are a great way to enjoy your leisure time since it provides an ability to listen to the books from your iPhone. You will be able to get free audiobooks on iPhone from various sources on the web as we listed above. Once you download the audiobook mp3 file, you can listen to it anytime at your convenience. You should verify the capacity of the ebooks before proceeding to download because all your audiobooks will be stored inside the internal storage of your iPhone. Why not you download few audiobooks from the above sources and enjoy listening to them during your spare time from now? Welcome to share your experience with audio books or any question with us by commenting down.